When you’re preparing to travel to Australia for your studies, you need to be aware of Australia’s quarantine laws. 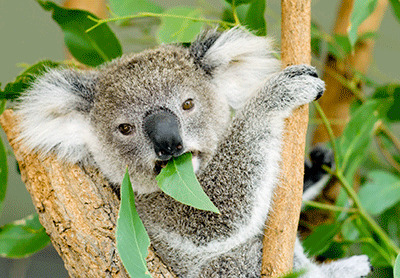 Food, plant material and animal products from overseas could introduce pests and diseases into Australia that could be harmful to Australia's native wildlife, pristine environment and agricultural industry. used sporting and camping equipment. If you’re going to send items to Australia by air or sea freight, you must give the Department of Agriculture details about all the items in your consignment. You must also avoid using packing materials such as fruit boxes or used egg cartons: these are prohibited. A Department of Agriculture Biosecurity officer may inspect your goods and will treat items that could contain pests or diseases and seize and destroy prohibited items — at your expense. To find out what you can and can’t bring to Australia, visit the Biosecurity section of the Department of Agriculture website. Before you receive mail from family and friends back home, it is important to know that there are some things — including food items — that should not be mailed to Australia. Traditional treats and gifts may remind you of home, but these items could carry pests and disease that pose a quarantine risk to Australia. To make sure your parcels arrive safely, tell your family and friends about Australia’s quarantine laws. All overseas mail is inspected by quarantine officers — prohibited items are removed from the parcel before it is sent on to you. If you are sending packages to Australia, remember that you MUST declare the exact contents of every mail parcel on the declaration label. Breaking Australia’s quarantine laws can lead to fines or a criminal record. The good news for international students is that a lot of the food you enjoy at home is readily available in Australia. There are many specialty grocery stores so it’s easy to get your favourite foods and a taste of home right here. For information about Australia’s quarantine laws, visit the Biosecurity section of the Department of Agriculture website.